Heat oil in a pressure cooker and add the whole spices and then the sliced onion. Fry till it is light brown in color. Then add ginger garlic paste and fry till the raw smell goes. Add all the spice powders and fry for a minute. Add chopped tomatoes, green chillies and curry leaves. Fry till oil separates. Now add the beef cubes, half a cup of water and salt. Mix well, close the lid and cook till done. Open the lid and simmer for another 5 minutes. Garnish with chopped coriander leaves. Serve delicious ‘Tomato Beef Curry’ with rice, chapatis, parathas or bread. My h will definitely love this…sounds delicious.. I have not had beef cutty and bread for long. Wish i had this in that combo now. 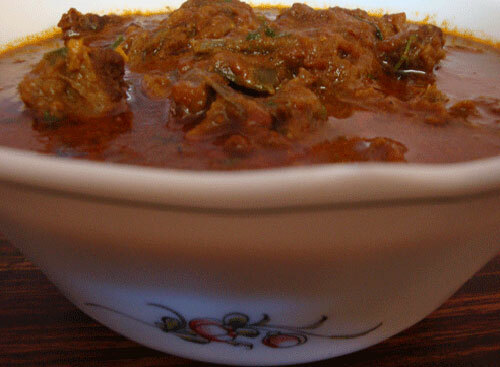 Adipoli beef curry…makes me drool,I never dare to eat beef.. But your pics made me get tempted…. looks so spicy and delectable!!! I am not a big fan of beef but I would love to try your curry. 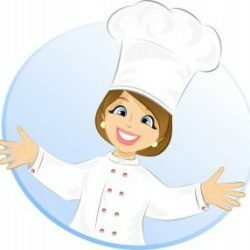 Please pass from my blog to collect your Award. oh wow!!! 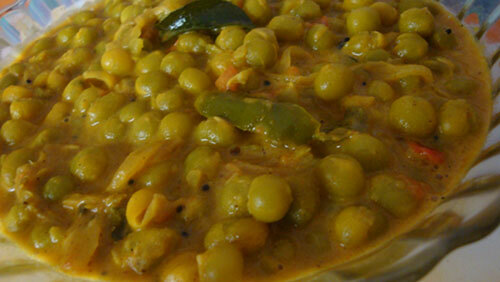 yummy yummy…perfect with choru or chapati..love the color.. Beef curry looks spicy and nice, lovely presentation. You can make it for your hubby, Priya… 🙂 Thanks!